Anmol Chemicals is the pioneer manufacturers of Ammonium Chloride, Pharmaceutical Excipients Fragrance & Flavor chemicals in India. We offer Halal and Kosher Ammonium Chloride made in an ISO9001, ISO22000 (FSSC22000) and cGMP certified facility. Our group has several manufacturing facilities spread across the world, supported by toll manufacturers and representatives in UAE, Europe, Africa, USA, China and has several associated manufacturing facilities spread across India. All the Information on Physics, Chemistry, Applications, Uses and Technology on Manufacture of Ammonium Chloride is in these pages. Dry Basis Assay (NH4Cl) 99.% min. Matter insoluble in water 0.01% max. Dry Basis Assay (NH4Cl) 99.5% min. Matter insoluble in water 0.005% max. Heavy Metals as Pb 1 ppm max. NH4Cl (also Sal Ammoniac, Salmiac, Salmiak, Nushadir Salt, Navsagar, Navsar, Nausagar, Nausar, Zalmiak, Sal Armagnac, Sal Armoniac, Salmiakki, Salamaka, Salmiak and Salt Armoniack) is, in its pure form, a clear white water-soluble crystalline salt of ammonia. The aqueous ammonium chloride solution is mildly acidic. Sal ammoniac is a name of natural, mineralogical form of Ammonium chloride. In nature, the substance occurs in volcanic regions, forming on volcanic rocks near fume-releasing vents. The crystals deposit directly from the gaseous state, and tend to be short-lived, as they dissolve easily in water. Ammonium chloride is also available as a bye-product of Soda Ash Plant and some other chemical processes. It is also found in volcanoes and deep underground. It sublimes readily but this process involves dissociation into ammonia and hydrochloric acid followed by reforming of the compound. 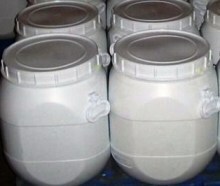 Zinc ammonium chloride is commonly known as flux, and is used for galvanizing steel. It is 60% ammonium chloride and 40% zinc chloride in it. Ammonium chloride is sold in blocks ( bars or briquettes ) at hardware stores for use in cleaning the tip of a soldering iron and can also be included in solder as flux. A principal use of ammonium chloride has been as a fluxing agent for hot dip galvanizing of steel and in the refining of zinc. It provides fluxing action by reacting with molten zinc to form a stable melt containing zinc chloride and ammonium chloride. It is used as it is or in compound fertilizer. It has higher concentration of Nitrogen than ammonium sulphate. Nitrification is less rapid than in urea or ammonium sulphate and this means N losses are lower. Although it is better known as rice fertilizer, it has been tested and used on other crops like wheat, barley, sugarcane, maize, fiber crops etc. Of particular note is the use of this fertilizer on palms; increasing the yield of Copra per tree. Other uses include a feed supplement for cattle, in hair shampoo, in textile printing, in the glue that bonds plywood, as an ingredient in nutritive media for yeast, in cleaning products, and as cough medicine. Its expectorant action is caused by irritating action on the bronchial mucosa. This causes the production of excess respiratory tract fluid which presumably is easier to cough up. It is also used in an oral acid loading test to diagnose distal renal tubular acidosis. 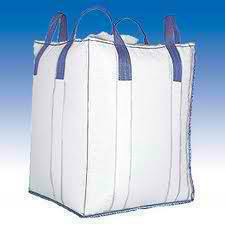 It is used in snow treatment, namely on ski slopes at temperatures above 0°C, to harden the snow and slow its melting. Found in nature and also produced industrially, it has other important uses too. These include lowering the melting temperatures of certain metals for manufacturing processes, and as a fertilizer, anti-caking agent and ingredient in personal care products and pharmaceuticals. In several countries Ammonium chloride is used to spice up liquorices-type dark candies (Finland's Salmiakki, Sweden's Lakrisal, the Netherlands' Zoute drop and the Danish Dracula Piller are popular examples), and as a flavouring for vodkas. Ammonium chloride is used as an expectorant, diuretic and systemic acidifying agent. It is used in the treatment of severe metabolic alkalosis, to maintain the urine at an acid pH in the treatment of some urinary-tract disorders or in forced acid diuresis. Electroplating Use: These days, there are three primary types of acid zinc plating baths: straight ammonium chloride, straight potassium chloride and mixed NH4Cl/KCl. Acid zinc plating systems have several advantages over alkaline cyanide and alkaline non-cyanide zinc plating systems except that in acid zinc plating, the electrolyte is extremely corrosive. Ammonium chloride zinc plating: The ammonium chloride bath is the most forgiving of the three major types of acid zinc plating because of its wide operating parameters. The primary drawback of this system is the high level of ammonia, which can cause problems in wastewater treatment. Ammonia acts as a chelator, and if the rinse waters are not segregated from other waste streams, removal of metals to acceptable levels using standard water treatment practices can be difficult and expensive. Ammonia is also regulated in many communities. Galvanizing, Soldering and Tinning Fluxes: Ammonium chloride is used in fluxes for galvanizing, soldering and tinning. Its ability to remove oxides and salts from metal surfaces insures good metal to metal bonding. It has the ability to attack metal oxides. This reaction is relevant to the utility of Ammonium chloride as a flux for soldering - it dissolves oxide coatings exposing the clean metal surface. Health Hazards: For normal industrial uses and with good hygienic practices, there are no known hazards with ammonium chloride. The American Conference of Governmental Industrial Hygienists (ACGIH) recommends an 8-hour TLV®-TWA of 10 mg/m3 ammonium chloride fumes in air to prevent irritation of respiratory passages. Safety Precautions: Wash thoroughly after handling. The use of impervious or rubber gloves and chemical safety goggles are recommended. First Aid: In case of eye contact, immediately flush eyes with plenty of water for at least 15 minutes. Call a physician. Storage & Handling: Ammonium chloride granular is a dry, crystalline solid and presents no unusual handling problems. It should be stored in a clean, dry place away from strong alkalis or strong oxidants. For Clinical Pharmacology please check drug.com. We also supply Ammonium Persulfate.